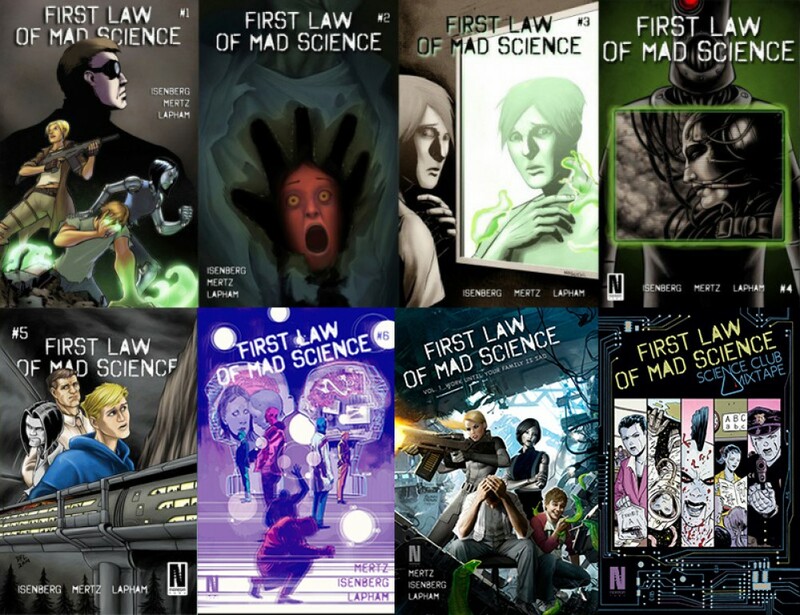 First Law Of Mad Science is a sci-fi/horror adventure comic written by Mike Isenberg &Oliver Mertz, drawn by Daniel Lapham, and with grayscales by Jeff McComsey. It is currently being self-published with the help of generous supporters from Kickstarter.com. Super-scientist George Baker’s newest invention, electronic retinal implants known as “Cyber-Eyes,” are nothing short of amazing. So amazing, in fact, and so cheap and easy to get, that some 40% of the population has gotten them within their first year on the market. But they aren’t perfect. Far from it. When things start going inexplicably and bizarrely wrong with the original test-subjects, George and his family will have to find out why before the problem spreads and causes world-wide panic. Along the way they’ll uncover ancient civilizations, corporate conspiracies, insane cults, other-dimensional creatures, awesome robots, subterranean cities, and Things Man Was Not Meant To Know. Upon graduating college, Mike Isenberg spent a number of years trying to get into the publishing side of the comic book industry. 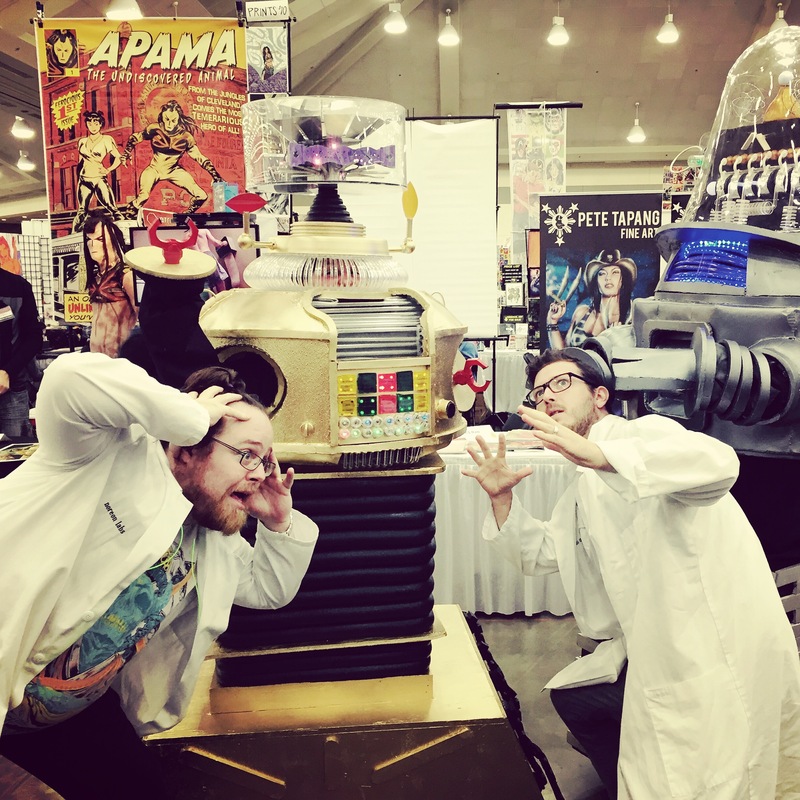 He worked, in various capacities, for Top Shelf Comics, Heavy Metal, the CBLDF, Marvel, Topatoco, and brick-and-mortar comics retailer Modern Myths. After several years of career stagnation, however, he threw up his hands in defeat and moved to New York to pursue a degree in finance & accounting as a full-time MBA student. But the world of comics, it does not release its grip so easily! Oliver Mertz is a man of mystery who lives in Washington DC and describes himself as, “an open book.” So, not really a man of mystery, I guess. Geez. Get off my case. Daniel Lapham‘s bio is coming soon!